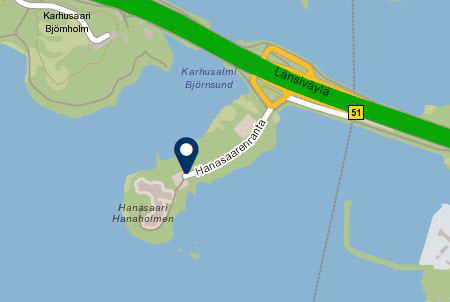 Hanaholmen Cultural Centre aims not only to make Sweden and Swedish issues known in Finland, but also Finland and Finnish issues known in Sweden. As an active and committed actor, Hanaholmen does this by participating in relevant and well-attended events in Sweden. 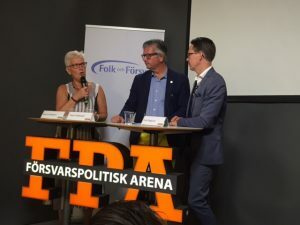 Hanaholmen and the Swedish-Finnish Cultural Foundation participate in the so-called political week in Almedalen in Visby on Gotland every year. 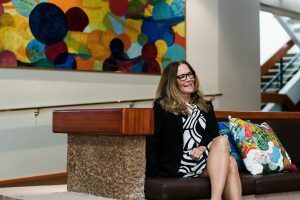 During the week, Hanaholmen, in collaboration with a number of partners, organises various discussions and events where the total audience usually is between 500 and 1,000 people. Every year, the events, which also usually include partners other than the Foundation, highlight current issues on e.g. defence co-operation, education, democracy, migration, populism and radicalisation. The annual book fair in Gothenburg is the largest one of its kind in the Nordic countries. 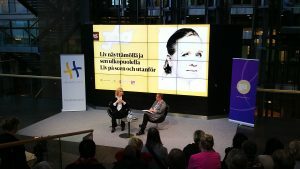 Hanaholmen participates in the book fair by arranging various discussions and seminars on current social and cultural issues. Most events are organised in collaboration with other Finnish and Swedish actors.